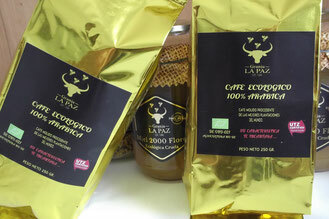 The Best Organic Coffee in the World. At Granja La Paz we want to be passionate about coffee! We work with high quality coffees, pampered from the original farm and toasted in micro-lots of artisan form. All our coffees are roasted specialties on request, without roasting. Each coffee has technical data and traceability. Like all of our products, we are proud to offer the World's Best Special Organic Cafe, certified by the American Special Coffee Association (SCAA). The plant of this wonderful coffee grows in an altitude between 1300 and 1800 msnm. , Until obtaining 7 international certifications for its purity, flavor and uniqueness. 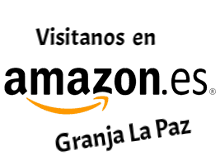 Granja La Paz is a pioneer in the method of coffee roasting called "SOFT LANDING" bringing wonderful results in the coffee bean and improving all the qualities. Raw coffee beans, after sorting, are transported inside the roasting oven. The beans are heated and stirred continuously until the temperature reaches 200-250 ° C. During the roasting of the coffee beans their weight is reduced and they increase in volume, because they undergo a physical and chemical transformation. In this very important phase the components of the future coffee aroma are formed: this is the secret that makes the difference of each toaster !! We also have the best decaffeinated with "SWISS WATER PROCESS" method, decaffeination process with spring water ... and nothing else. Swiss Water Process is a 100% chemical free decaffeination process, with special importance in maintaining the taste of coffee. It has audits to ensure the compliance of a 99.9% caffeine free and high quality standards that have Certificate of Analysis (COA). Methylene chloride and ethyl acetate are the most commonly used solvents to decaffeinate coffees. If we consider the alternatives, based on methods that are environmentally friendly, chemical-free and with 99.9% without caffeine, in addition to maintaining unchanged the organoleptic properties of coffee, we can understand the importance of the Swiss Water Process method.